Natural canvas tote measures 19" x 15" with zipper closure and 4" gusset base. 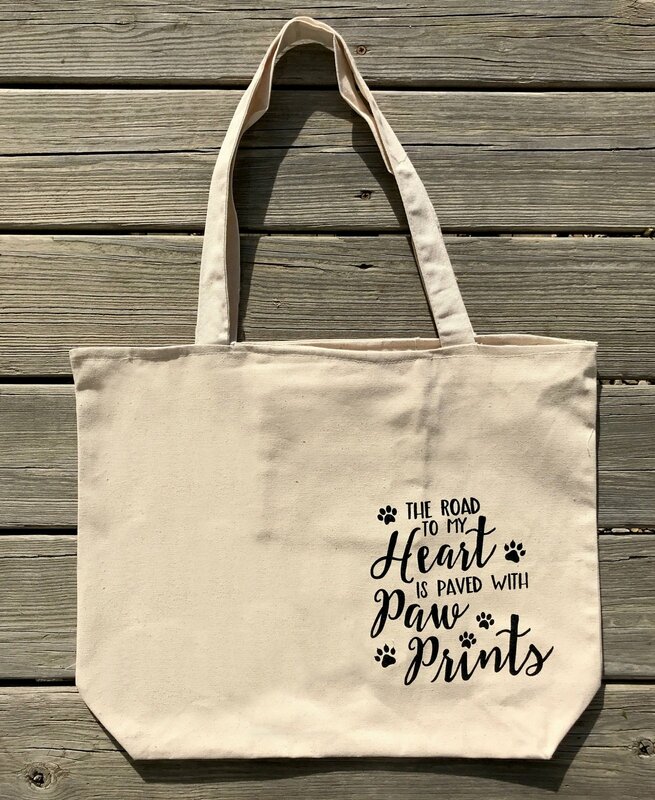 Screen printed saying "The Road to my Heart is Paved with Pawprints." Bag designed to coordinate with either the cat or dog precut applique packs. A pattern is included for finishing instructions.